Yesterday walking back to my car from doing a quick grocery shop I noticed a single bee flying around and landed on the bonnet of my car. I got super excited and whipped out my phone to take a photo of the bee. With all the warm weather we have been having for the last week I knew that with seeing this single bee that meant that we are in for some more good weather and that spring may just hit early this year. 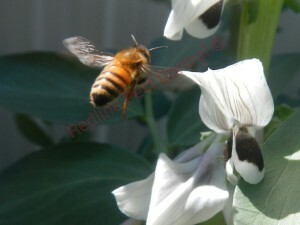 There are over 1,500 species of bees which are in Australia today. Bee colonies can have over 50,000 working bees so it is vital to always keep an eye out if a colony is on your premises. Bees generally will swarm between September to December as this is when the abundance of nectar and pollen is in the air. 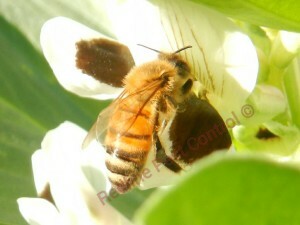 On warm sunny days bees will usually swarm between 10am to 3pm each day in search for nectar and pollen. What should I do if Bees are on my property? If bees are on your property call a professional and reliable pest control company who will send out a qualified technician who will be able to eradicate the bees in a safe and controlled manner. Don’t let your children or pets near the area that the bees are at as this could result being stung by the bees. Is it true that bees can make their new home in my wall cavity? 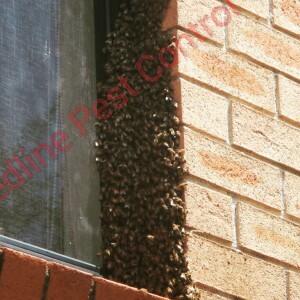 Yes, believe it or not we get calls from customers who have had bees in their wall cavity and roof voids. Last year we had Jenny from Penrith call us as she had bees in her wall cavity. Jenny had called another pest control company who came out and told her he had fixed the problem. When Jenny called the pest control company back they said that they had not been out to her property. Jenny did a quick google search on bee control Penrith and found our company. 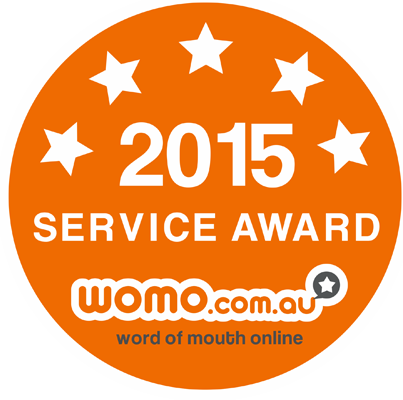 Our technician advised her on how the treatment works and kept her informed every step of the way. A few days later Jenny called us back squealing with delight as we had eradicated the bees for her. You see Jenny is allergic to bees and if stung by a bee she could either get sick or potentially die. Can bees cause damage to my premises if found in my wall cavity or roof void? 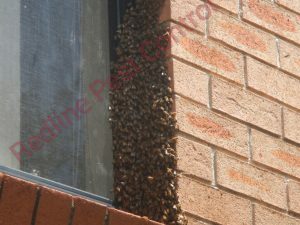 Bee hives when in your wall cavity can reduce air ventilation due to blocking vents. The pressure of a bee hive in your wall cavity can cause your gyprock to swell and your paint to bubble. Bee hives can actually increase the activity of ants at your premises as their honey is an attractant. 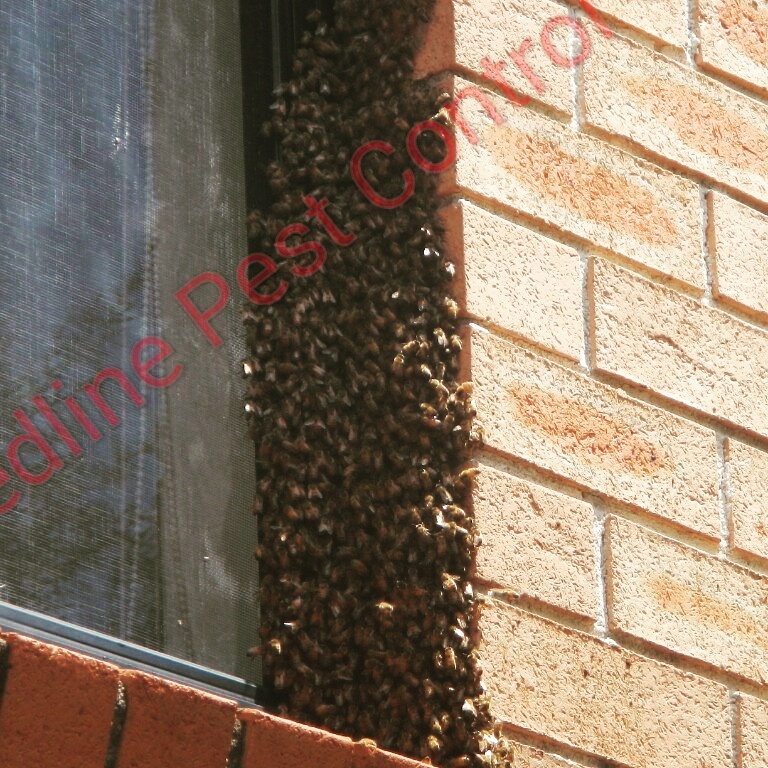 Electrical faults can occur if the bee hive is wrapped around electrical wires. Installation in your roof void can be damaged if the bee hive is severe.